Heisenberg’s uncertainty principle is certainly one of the most famous foundations of quantum physics. According to this principle, not all properties of a quantum particle are determined with arbitrary accuracy. In the early days of quantum theory, this has often been justified by the notion that every measurement inevitably recoils the quantum particle, which disturbs the results of any further measurements. This, however, turns out to be an oversimplification. 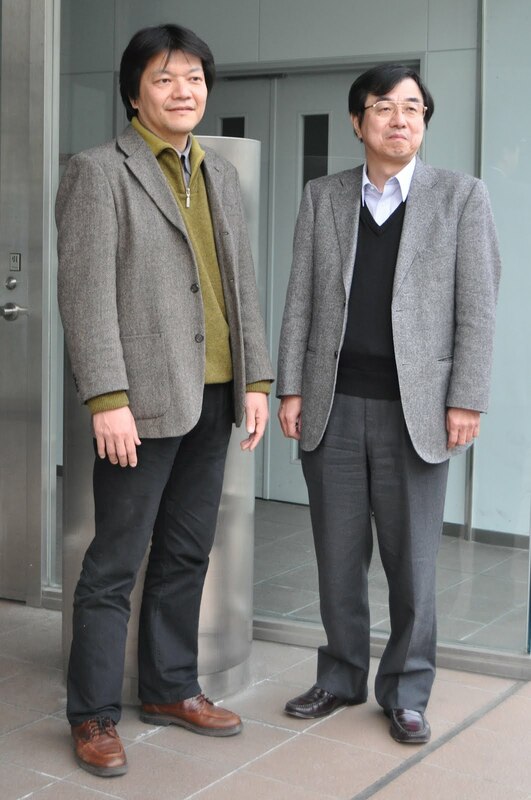 In neutron experiments carried out by professor Yuji Hasegawa and his team at Vienna University of Technology, different sources of quantum uncertainty could now be distinguished, validating theoretical results by collaborators from Japan. The influence of the measurement on the quantum system is only one reason for the uncertainty observed in the experiment. Heisenberg’s arguments for the uncertainty principle have to be revisited – the uncertainty principle itself however remains valid. The results have now been published in the journal “Nature Physics” . It is well established that some physical quantities cannot be measured at the same time. The question is, how this fact has to be interpreted. “Heisenberg’s famous thought experiment about using light (γ-rays) to measure the position of an electron is still quoted today”, says Jacqueline Erhart from the Institute for Atomic and Subatomic Physics at the Vienna University of Technology. To measure the position of a particle with high precision, light with a very short wavelength (and therefore high energy) has to be used. This results in momentum being transferred to the particle – the particle is kicked by the light. Therefore, Heisenberg argued, it is impossible to measure both position and momentum accurately . The same is true for other pairs of physical quantities. Heisenberg believed that in these cases, an error in one measurement leads to an inevitable disturbance of the other measurement. The product of error and disturbance, Heisenberg claimed, cannot be smaller than a certain threshold. However, the effect of the measurement on the quantum system and the resulting disturbance of the second measurement is not the core of the problem. “Such disturbances are also present in classical physics – they are not necessarily linked to quantum physics”, Stephan Sponar (Vienna UT) explains. The uncertainty is rooted in the quantum nature of the particle. Quantum particles cannot be described like a point-like object with a well-defined velocity. Instead, quantum particles behave as a wave – and for a wave, position and momentum cannot be defined accurately at the same time. One could say: the particle itself does not even “know” where exactly it is and how fast it travels – regardless of the particle being measured or not. “In order to describe the fundamental uncertainty and the additional disturbance due to the measuring process, both particle and measurement device have to be treated in the framework of quantum theory”, says Georg Sulyok (Vienna UT). This was done by the Japanese physicist professor Masanao Ozawa in 2003 , leading to a generalized uncertainty principle. His equations contain different “kinds of uncertainty”: On the one hand the uncertainty which comes from the measurement, as it disturbs the particle (this is the uncertainty described in Heisenberg’s thought experiment of the position-momentum-measurement), on the other hand the equations contain the fundamental quantum uncertainty, which is present in any quantum system, regardless of the measurement. A sophisticated experimental design now made it possible to study these contribution to uncertainty at the Vienna University of Technology. 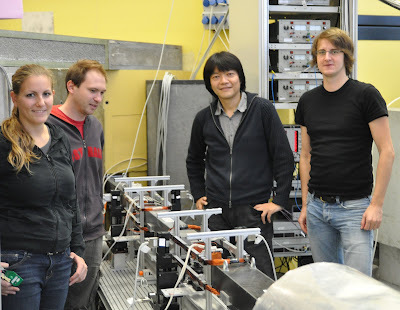 Instead of a particle’s position and momentum, the spin of neutrons was measured. Neutrons constitute an ideal candidate for basic research in quantum mechanics . Due to their weak interaction with the environment they behave as a robust quantum system. In addition, they can be experimentally controlled with high precision. Especially for the manipulation of the neutron’s spin a variety of elaborate techniques and devices has been developed over the last decades. The behavior of the neutron’s spin is not only exploited in the wide field of material science but also for studying fundamental quantum-mechanical characteristics, for example superposition or entanglement. The spin in x-direction and the spin in y-direction cannot be measured simultaneously: they fulfill the uncertainty relation, in much the same way as position and momentum. To demonstrate the generalized uncertainty relation, an apparatus consisting of three stages has been designed. A schematic illustration of our setup is depicted in Fig.1. In the first step, the neutron’s spin state is prepared. Then, measurements of the x- and y-component of the spin are performed successively on every incoming neutron. The first measurement therefore unavoidably disturbs the second measurement. This effect adds up to the fundamental uncertainty stemming from the quantum nature of the neutron. Preparation and measurement of the neutron’s spin is achieved by exploiting appropriately oriented static magnetic fields together with polarizing supermirrors. Carrying out measurements with small, well-defined tunings in the apparatus, we could study the interplay between different sources of uncertainty. Fig 1. Experimental apparatus for demonstration of the generalized uncertainty principle for error and disturbance in neutron spin measurements. Our setup consists of three stages: preparation (blue region), measurement of the x-direction (red region) and y-direction (yellow region) of the neutron’s spin. The neutron beam is polarized by passing through a supermirror spin polarizer and the static magnetic fields, produced by the coils C 1 – C 4, in combination with the analyzing supermirrors (spin-filters) are used to measure the x- and y-components of the neutron’s spin. Error and disturbance are determined from detected count rates of the successive measurements. “The smaller the error in one measurement, the larger the disturbance of the other – this rule still holds. But the product of error and disturbance can be made arbitrarily small – even smaller than Heisenberg’s original formulation of the uncertainty principle would allow”, says professor Yuji Hasegawa. Only in combination with the other uncertainty terms occurring in Ozawa’s generalized relation the lower bound is exceeded in all experimental realizations. J. Erhart, S. Sponar, G. Sulyok, G. Badurek, M. Ozawa, Y. Hasegawa, "Experimental demonstration of a universally valid error–disturbance uncertainty relation in spin measurements", Nature Physics (2012), Published online, doi:10.1038/nphys2194. Abstract. W. Heisenberg, "Über den anschaulichen Inhalt der quantentheoretischen Kinematik und Mechanik". Z. Phys. 43, 172–198 (1927). M. Ozawa, "Universally valid reformulation of the Heisenberg uncertainty principle on noise and disturbance in measurements". Physical Review A 67, 042105 (2003). Abstract. H. Rauch and S. A. Werner, "Neutron Interferometry", Clarendon Press, Oxford (2000).